Daniel has a key interest in general surgery. 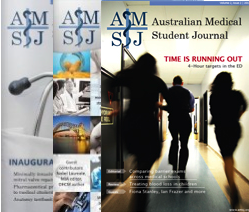 The writing of this article stemmed from his personal experiences in a Prevocational General Practice Placement in Griffith, New South Wales, as part of his internship rotations. Medical students, prevocational doctors and general practitioners (GPs) may have little knowledge of the Prevocational General Practice Placements Program (PGPPP). This article seeks to explore the value of such placements and provide an aspiring surgeon’s reflection on a PGPPP internship placement in rural New South Wales (NSW). Prevocational GP placements have the potential to alleviate some of the pressure of sourcing additional postgraduate placements for junior doctors. With the dramatic increase of Australian medical school graduates – by 81% in seven years – overwhelming traditional postgraduate training placements,  the growth of PGPPP will continue. Despite available qualitative data, there is currently no published information that adequately describes the range and volume of patient and procedural experiences in PGPPP placements. In response, a prospective study of caseload data is currently underway to better inform medical students, prospective PGPPP doctors, GP supervisors and specialist training colleges of the potential value of such placements. Presentations during a single day included complex medical or surgical issues, paediatrics, obstetrics, gynaecology, dermatology, mental health, occupational health, preventative health and more. The workload included booked appointments and consenting patients from the GP supervisors’ bookings, thus ensuring a reasonable patient caseload. Patients often attended follow up appointments during this term. The continuity of patient care in PGPPP was in stark contrast to acute medicine and surgery in tertiary hospitals. This allowed establishment of greater rapport, with patients openly discussing intimate social or mental health issues during subsequent consultations. The majority of tertiary hospitals encompass an established hierarchy of fellows, accredited and unaccredited registrars, residents and enthusiastic medical students vying for procedures. With the possible exception of emergency, most interns complete only a few procedures in hospital rotations. Hence, in PGPPP, junior doctors value the opportunities to practice procedural skills including administration of local anaesthesia, skin lesion excisions and suturing. The main source of frustration within the placement was administrative red tape. The restrictions placed upon interns with provisional medical registration meant all scripts and referrals had to be counter-signed and conducted under the GP supervisors’ provider number and prescription authority. Interns routinely prescribe medications and make referrals in the hospital system. That this authority in a supervised hospital system has not been extended to similarly supervised PGPPP is bewildering. The need to obtain formal consent prior to consults, in contrast to the implied consent in hospital treatment, was reminiscent of medical school. One of the main purposes for the development of PGPPP was to promote general practice to prevocational junior medical officers. These placements provide junior doctors with valuable exposure to community medicine, develop confidence to deal with the uncertainty of diagnoses, a range of patient presentations, and improve counselling and procedural skills. These skills and experiences are likely to be retained regardless of future specialisation. Perhaps it is just as important for GPs to play a role in educating future tertiary care specialists, so all may better understand both the capabilities and limitations of community medicine. While I still wish to pursue a career in surgery, this placement has provided insight into the world of community medicine. The value of PGPPP truly extends beyond the attraction of prevocational doctors to general practice careers. Dr Marion Reeves, Dr Jekhsi Musa Othman and Dr Damien Limberger for their supervision and guidance through this clinical rotation.